Add something a little different to your Christmas ornament collection this year! 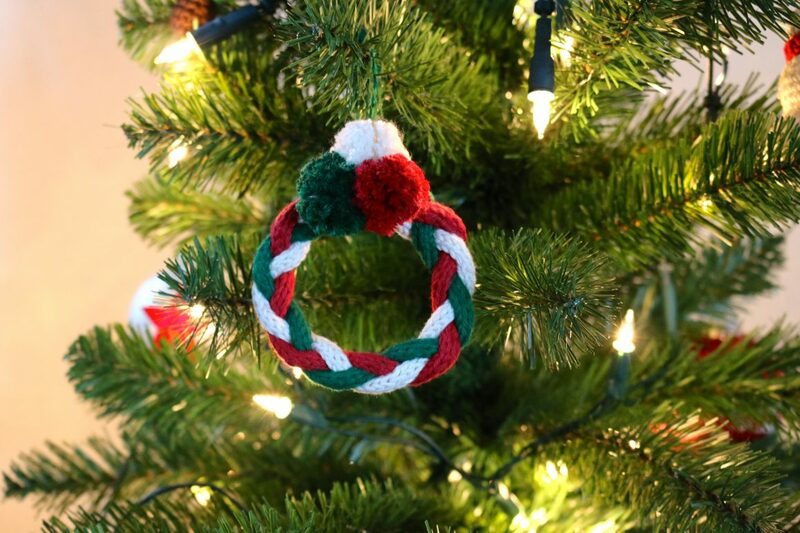 This little Christmas wreath doesn’t require advanced knitting skills; all you need is a French knitter. 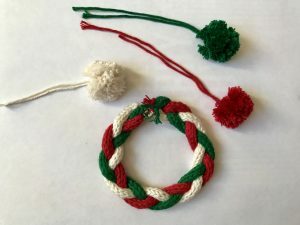 The wreath measures about 8cm / 3.25″ in diameter. 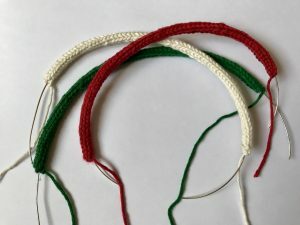 Using your French knitter knit a 25cm / 10″ long cord in each colour. I used green, red, and white. If you haven’t used a French knitter before, don’t worry. It’s super easy! 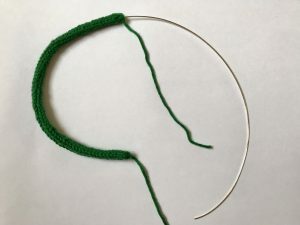 I found a great step-by-step tutorial at instructables.com for you. Cut the craft wire in 3 x 30cm / 12″ long pieces. Insert one in each of your little cords. Align the three wired cords next to each other and twist the wires that peak out from the tops. Tie the three ends together so the tops of the cords stay in place. 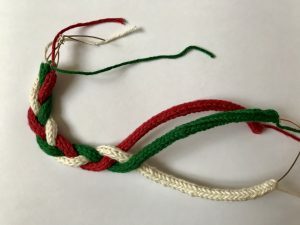 Start braiding the cords and slightly bend them into a wreath at the same time. 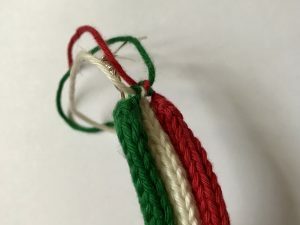 Once your braided wreath is complete, twist the wires of the tops and ends of the cords together, so the wreath holds its shape. 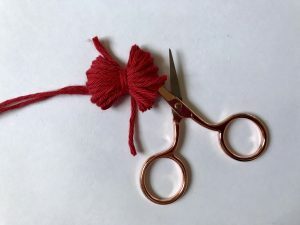 Also tie the yarn ends together and cut them short. Make three little pom poms using the fork, one in each colour. 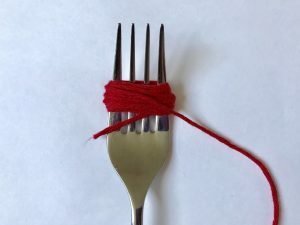 Wrap the yarn about 30 times around the fork. Break the yarn. 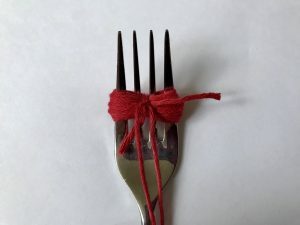 Insert a new piece of yarn in between the two inner forks and tightly tie the wrapped yarn together. 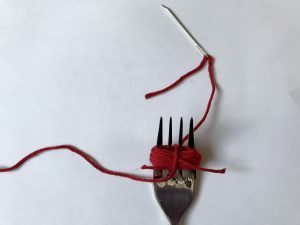 Take the pom pom off the fork and cut the loops open. Trim your pom poms to sphere shapes. Tie the pom poms around the upper middle of the wreath, forming a triangle. They should hide the wire. 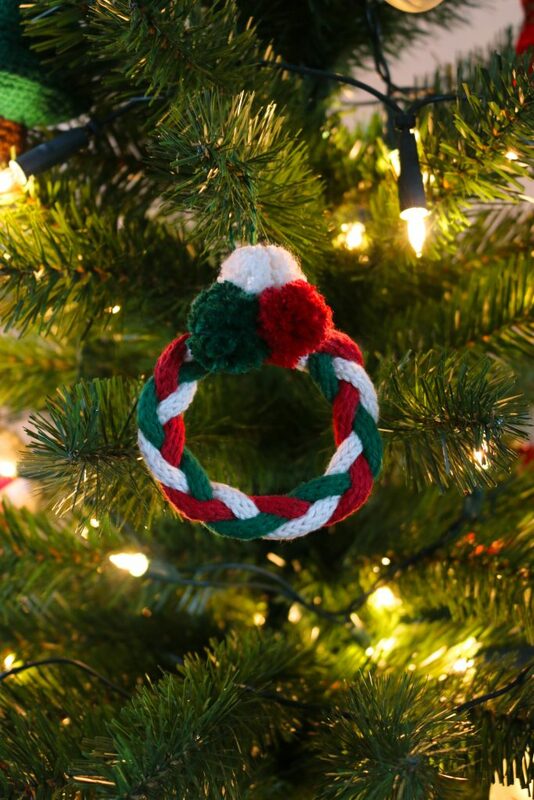 Make a loop to hang up your little wreath. And that’s it! 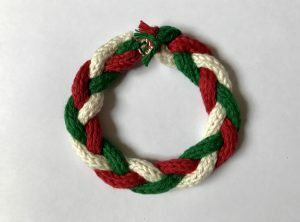 Complete is your little Christmas wreath ornament! I hope you enjoyed this little project! Please comment below with any questions you might have. 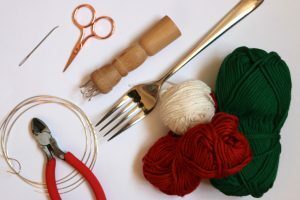 Do you wanna create more of your own Christmas ornaments? 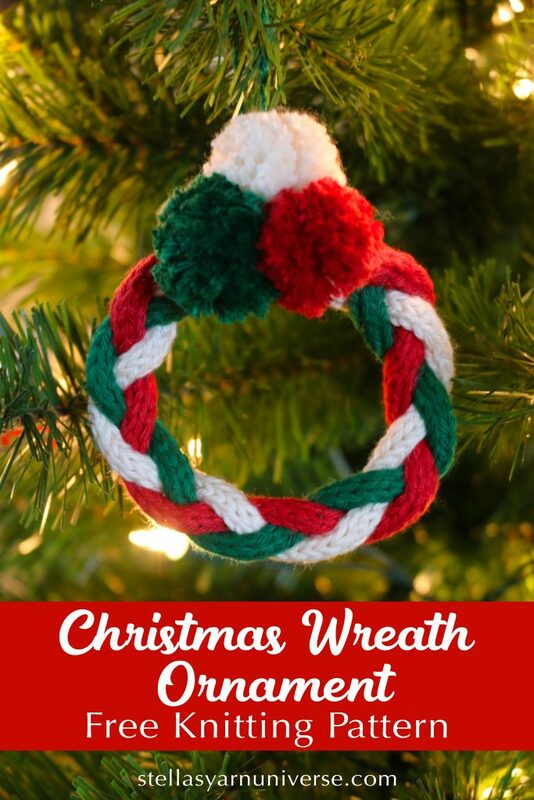 Take a look at my ornament crochet patters!